Enter this fantasy world in a video slot designed and produced by 2By2 Gaming: with Snow Queen Riches you’re straight into a fantastic movie for children which can land you great prizes. Trudge through the icy scenarios from the comfort of your sofa, and try to bag the massive prize of the cool800 coin jackpot! As you try and hit this avalanche of a prize, you will come across various bonuses such as wilds, frozen wilds, respins, free spins and a bonus wheel that can earn you up to 100x your wager amount. Join us as we have a closer look at this video slot from 2By2 Gaming! Playing this video slot is easy: there aren’t too many controls on the screen so you can view your current balance, the amount of your last win, your total bet and the wager per line options. You can access the paytable via the blue button with the question mark, showing you all different symbols and winning combinations. That the icy environs of Snow Queen Riches can be tough for the unexperienced traveller is a statistical fact; however, there are plenty of bonuses to bring the temperature up – more than a little, in fact. During the bonus wheel mode, you will be taken to a wheel of fortune with various multiplier amounts from 4x to 100x. Spin the wheel and you will win the multiplier prize on which the wheel stops. On the other hand, the Free Spins mode can award you a win of up to 80,000 coins, and during the Free Spins feature the Frozen Wild feature will be triggered more often. The symbols on the reels are all designed in a cartoonish manner, and these are the young prince and the young princess, the deer, the mirror, the rose and five card symbols made out of ice (10, J, Q, K and A). The special symbols awarding the higher paying prizes are the Scatter, awarding a payout with at least three hits, the Wild (the Snow Queen symbol) which will form winning combinations by substituting other symbols and a free respin, and the Expanding Wild which will award you additional multipliers from to 2x to 4x during the Respin feature. 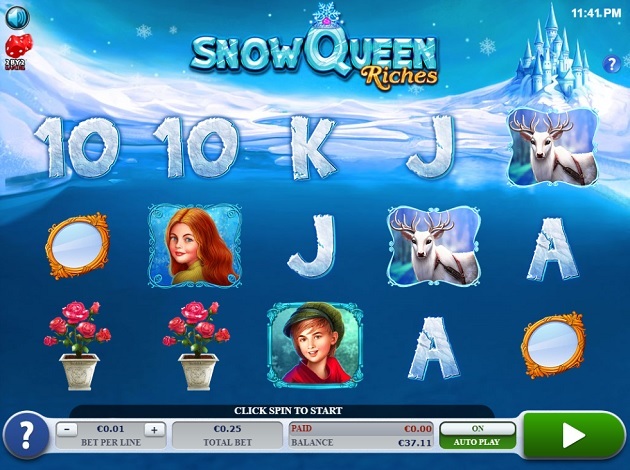 Snow Queen Riches is a video slot with a beautiful design. The snow-filled reels with the icy castle serve as a background to the reels, which are actually invisible and symbols appear as if they’re hanging from mid-air, allowing you to admire the scenery. The music can be turned off if it is not to your liking, while all the symbols are in line with the game’s theme and will light up every time they are part of a winning combination. Don’t be fooled by Snow Queen and it’s children’s movie atmosphere – if you venture a bit further on you will find that there are enough big prizes and payouts and numerous features. So, the innocent design isn’t everything: think of the possibilities to win and you will immediately like this video slot! This video slot is easy to play, and it’s not too hard to trigger the bonus modes – it’s up to you whether you choose the free spins or the bonus wheel, because Snow Queen puts the decision of whether to go for a lower risk or a bigger potential payout entirely in your hands. So, we wish you the best of luck! 2 By 2 Gaming is a fairly new company – but their immense experience amongst the people working there is astounding. 125 years of experience to be more specific, so they are well aware of everything going on in the gaming business, and they know what is needed to satisfy clients and operators. 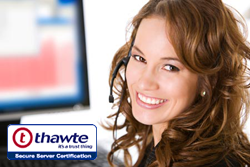 The company is based in Chicago and the surrounding areas. They mainly focus on developing the most innovative slots possible and deliver them to as many platforms and operators as possible. At the moment the company has over 65 issued patents and 35 in the works, securing their innovation for years to come hopefully. Something unique about 2 By 2 Gaming is the fact that they have developed their own custom-made mathematical models to try and appeal to the wider crowd of casino lovers, striving to offer the most enjoyable gaming experience in the world and keep players coming back to their games. But 2 By 2 Gaming does more than just classic casino games, they have successfully developed games for different platforms such as free-to-play social gaming markets and traditional land-based casino markets. This way makes sure to increase the number of players that they can be in touch with, no matter what preferences they might have. They offer something for everyone.